Double trouble: Forcing clinicians to choose between a diagnosis of autism or attention deficit hyperactivity disorder may prevent children who have both disorders from receiving the treatment they need. About 30 percent of children with autism have symptoms of attention deficit hyperactivity disorder (ADHD), but under current diagnostic guidelines they can only be diagnosed with one or the other1. That’s about to change. The next version of the Diagnostic and Statistical Manual of Mental Disorders (DSM), which lays out guidelines for diagnosing psychiatric disorders, is expected in May 2013. 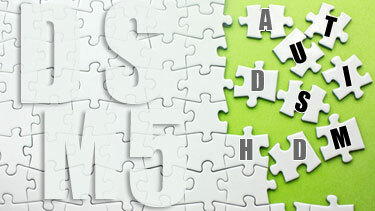 The DSM-5, as it is called, eliminates a troublesome passage in the current version that has prevented doctors and researchers from describing ADHD and autism as disorders that can occur together. The changes to the guidelines are long overdue. Within a few years of the DSM-IV’s debut in 1994, researchers began suggesting that the exclusionary rule doesn’t make sense, says King. One of the reasons for this separation was fear that autism would be under-diagnosed, says James Harris, director of developmental neuropsychiatry at Johns Hopkins University in Baltimore, Maryland, who is also a member of the working group. Harris says framers of the DSM-IV believed autism-related inattentiveness could be confused with ADHD, and children who could benefit from autism therapies might not receive treatment. “Many kids with autism do have attention issues,” he says. However, the nature of the problem is different than in ADHD. It’s difficult to get the attention of children with ADHD or to keep them on task. In contrast, children with autism have trouble shifting attention away from their narrow range of interests. Forcing clinicians to choose between autism and ADHD may have been helpful in some ways — for example, requiring them to scrutinize subtle behaviors more carefully, says King, who is director of child and adolescent psychiatry at the University of Washington. But it is likely to have also had an adverse effect on children who have both disorders, preventing them from receiving proper treatment. Research published over the past decade has provided growing evidence for the overlap between autism and ADHD. Genetic studies suggest the two disorders share genetic risk factors, and epidemiological studies confirm that some people with autism have symptoms of ADHD, and vice versa2. Neuroimaging and anatomical studies have also shown similarities between the two disorders. Under the DSM-5 guidelines, doctors can directly analyze whether children with a primary diagnosis of ADHD and some autism symptoms might benefit from strategies designed for autism — such as social, speech and occupational therapies. Likewise, children diagnosed with autism who show symptoms of hyperactivity, inattentiveness or impulsivity may benefit from treatments designed for ADHD3. Treating these children with low doses of stimulants, such as Ritalin, often helps them to sit through classes without being disruptive, and may make speech or social therapies for their autism symptoms more effective, says Harris. Doctors already prescribe these drugs for children with autism. But because of the language in the DSM-IV, the prescriptions are off-label and the doctors must say they are treating ”ADHD-like” symptoms rather than ADHD itself. Acknowledging that the two disorders co-occur might also benefit clinical studies. For example, it’s possible that children who have symptoms of both autism and ADHD represent a unique subgroup. If that is the case, studying this group may help researchers identify risk factors or treatments specific to them. “Once you have the ability to more effectively capture the population with autism and ADHD, that may become very useful for future genetic studies,” says King. Other proposed revisions to autism in the DSM-5 have sparked controversy. Ruling out Rett syndrome, collapsing some disorders — such as Asperger syndrome and pervasive developmental disorder-not otherwise specified — into a single diagnosis, and narrowing autism’s core characteristics from three to two, have all inspired criticism. The American Psychiatric Association, which publishes the DSM, says experts will review the proposed guidelines this fall and then present them in December to the organization’s board of trustees. I am waiting for ADHD, Autism, Aspergers, Learning Disabled, Gifted, Semantic Pragmatic disorder, Behaviorally Disordered and Dyslexic to all fit in one box like they do in my son’s brain. I don’t believe he “has” all those labels, I believe who he is gets labelled because he’s hard to teach and hard to raise. I love who he is. You know, there’s just a point where one says, he’s just Ben. The rest is superfluous. We don’t take drugs, attend special schools, go to therapy, use special books or equipment…we just survive and say a prayer ever once in a while. He suffers from being a kid. My son is 3 years and has been evaluated and re-evaluated for Autism and has scaled as severely autistic 2 years in a row, undergoing therapy for a year and a half and now in special pre education at a public school. This is where they decided themselves to try and tell me my son is ADHD and NOT autistic. I was appauled and looked into it, to find out it is possible to have a dual diagnosis. What bothered me was that she complained on how hard it is to teach him because he doesn’t want to be bothered while in an activity engaged on his own. As an autistic child, he likes to play and concentrate on things alone, therefore she should try another way or be patient instead of trying to hop him up on meds for ADHD symptoms that are clearly just as likely to be autistic symptoms as well. I am 31 year old seven time felon who has been previously diagnosed with every acronym available within the psychiatric field other than adhd and definitely not asperbergers. It was my own drug seeking behavior that brought me to figure out that I really do have adhd and possibly high functioning autism. I have severe adhd but I can hyper focus and have an extreme sense of perception. I have always lied to treatment professionals for personal gain. Hence my constant misdiagnoses. Am I both? I don’t know. But intuitively I know. Can anyone help me? I just want to be normal.